I’ve learned a lot since then. And though I’m not the fiddle player yet that I want to be, I do feel blessed every time I pick up that instrument. When it is in my hands, there is something magical that happens. Even on the bad days. I can’t imagine my life without music. And I am thankful for it every day. 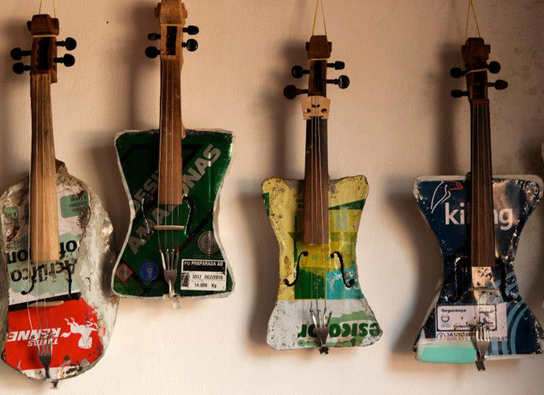 Today I want to share with you this video of the Landfill Harmonic, a group from Paraguay, South America, who play instruments made out of recycled trash. They play for the sheer joy of feeding their soul. They play because they too have the same calling. It’s a reminder of how powerful music is. It’s a reminder that we shouldn’t take anything for granted. It’s a reminder that music can truly change the world. This moved me so much… *thanks for sharing*. I am forwarding to friends and family!